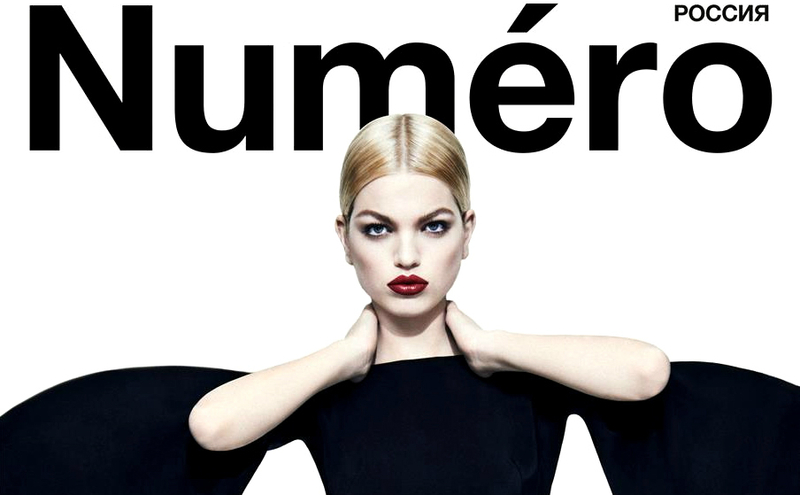 Dutch beauty and sometime Tom Ford muse Daphne Groeneveld struck a dramatic pose wearing TOM FORD for the April 2013 issue of Numéro Russia #2 [Editor Note: remember her beautiful cover from the controversial Vogue Paris, December 2010/January 2011 Issue?]. Creative Director André Leon Talley, stylist Ethel Park and photographer Sebastian Kim highlighted the movement in the butterfly-like wings of the cady caftan dress from the TOM FORD Spring/Summer 2013 Womenswear collection. The editorial was so simple it allowed Daphne’s beauty and the gown to shine… just beautiful.